Not going to lie: Part of the reason I decided to read more short stories this year was to give myself an excuse to explore different literary magazines. Because I have a million subscriptions to a million comic books, SO WHY NOT LITMAGS, TOO??? 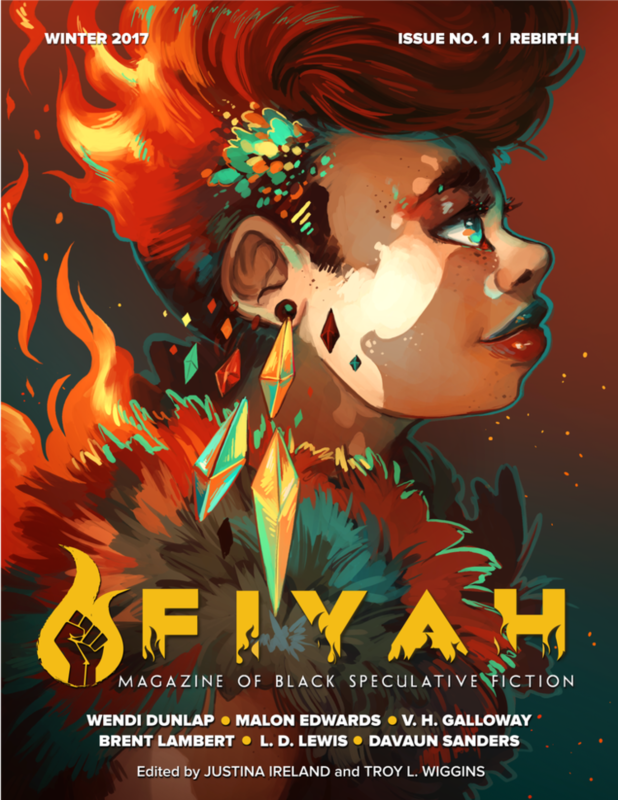 I've had a subscription to FIYAH since its launch, but only just now finally dug in and after reading Issue #1, OMG I AM SO EXCITED THAT I HAVE A WHOLE BUNCH MORE ISSUES TO BINGE. I love the design—THE COVERS, GOOD LORD—I love that the issues are all based around a specific theme, I love that this is specifically a showcase of Black SF authors, and I love that these specific authors are largely all new to me. AND I love that the FIYAH website has all sorts of bonus content—including music playlists to set your reading mood—for each issue. Most importantly, of course, I loved the stories. And, yes, they're all centered around the Rebirth theme, but they span such a broad range of genres and subgenres and settings and styles and tones and voices that it's almost easy to forget that they share a theme. Until you finish them all and sit with them and let them percolate and maybe even dip back in to revisit—I did, more than once—and then you realize what a fantastic job the editors did in curating this collection. He loved the tickle of that ball. In her less subtle days, she'd contemplated killing him with it. On her least subtle day, she did. AHHHHHHHHHHH! I shall be reading more soon, soon, soon.